During her research, artist Emily Speed has explored informal leisure spaces within the City Deal and wider areas of Preston. 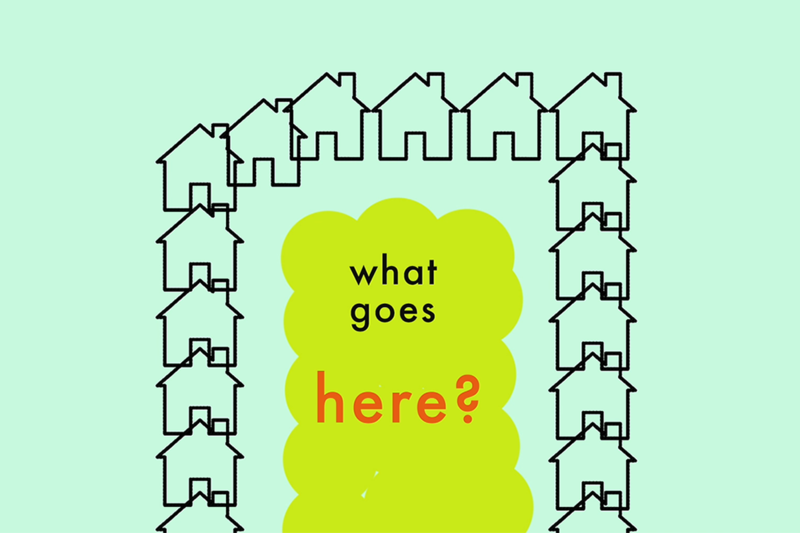 Through conversations with city planners and on-the-ground research, she has explored approaches to leisure provision within housing developments, the relationship between formal and informal spaces and the interface between public and private areas within new housing developments. 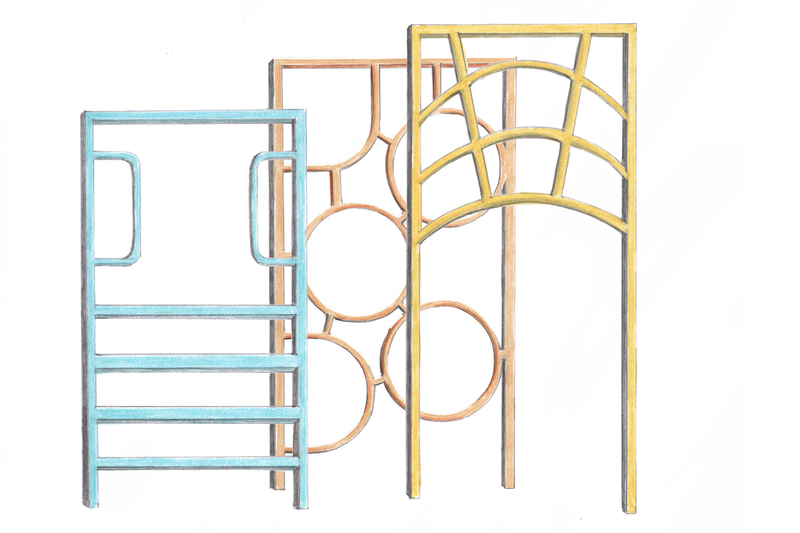 Her early research was presented as a series of drawings and animation instigating conversations with local decision-makers and stakeholders about the provision of spaces and resources for ‘play’. The research is concerned with creating a temporary, landscaped space for play, gatherings and performances, as well as being open to other suggestions and possibilities on land that will later be developed for housing. She sees the current stage of the City Deal – where some things have been built and others only exist in plans – as being full of potential, and ideal for testing a different approach to leisure space. Emily has run workshops with local young people and a charette with the BSc Hons Architecture undergraduates at UCLan on what this space might become. 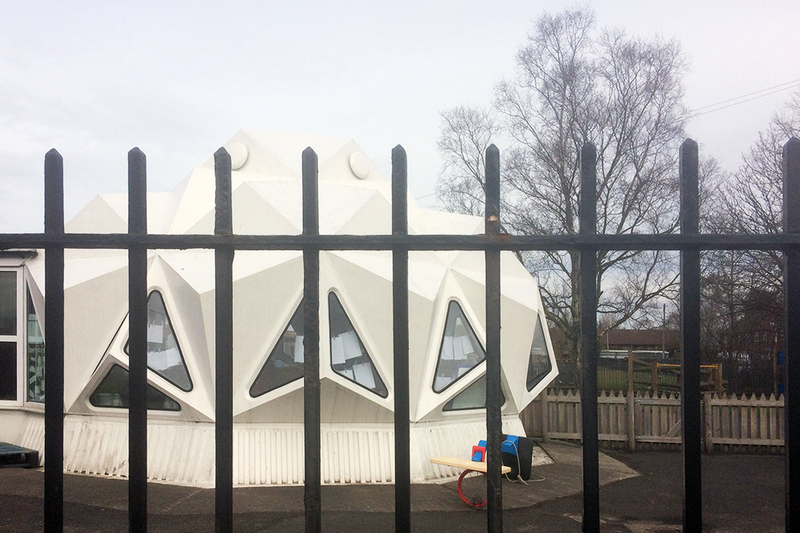 Her question ‘What do we need in a space for play?’ was the topic of discussion between herself and architect Lee Ivett, at an informal event held in the recently Grade II listed ‘bubble’ classroom at Kennington Primary School. 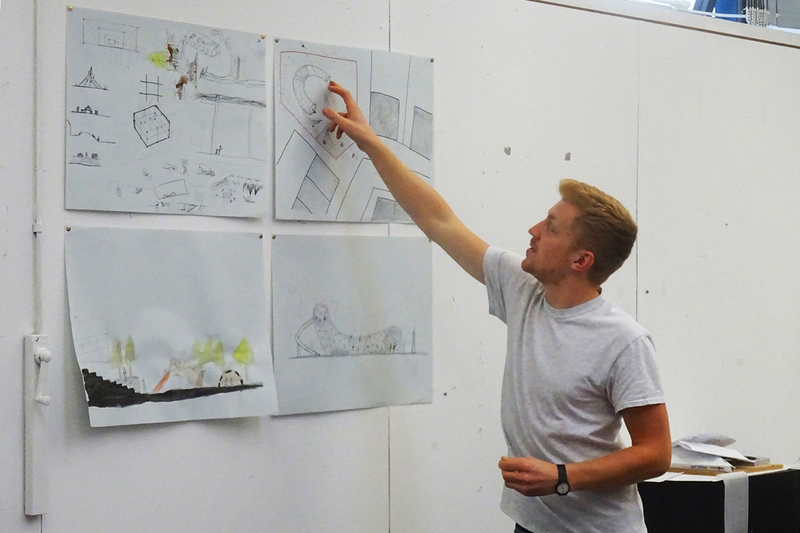 Emily and Lee explored ideas from her research with local community groups sharing an interest in physicality and the body, and considered multi-use spaces and different approaches to leisure space. 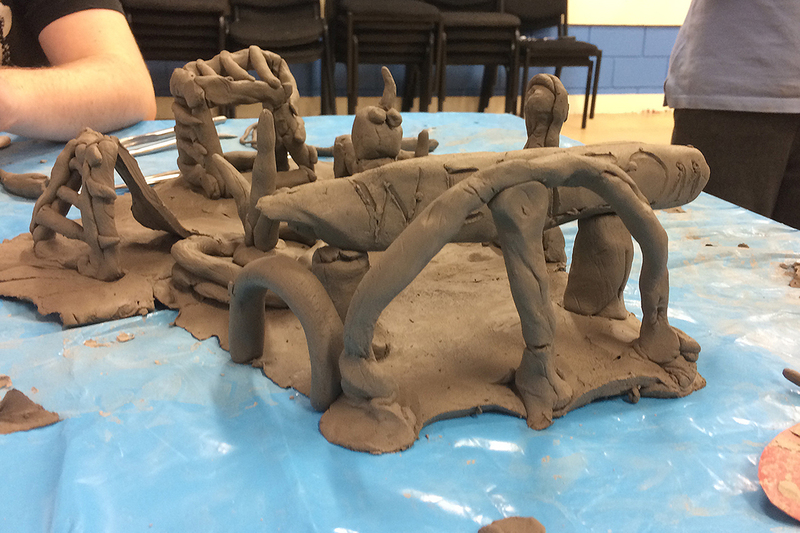 In July 2018 Emily will run on site workshops with local communities and groups to create an idea of a ‘model village’ using mud bricks manufactured from top soil. The work will be constructed on a vacant plot at the Story Homes Waterside housing development at Cottam. Please click for details.